The fight against obesity is set to have cost councils more than half a billion pounds since taking over public health from the NHS three years ago. The Local Government Association, which represents more than 370 councils, says local authorities anticipate having spent £505 million tackling obesity in adults and children, following the transfer of public health responsibility in April 2013. But councils warn that the recent cuts by government to their public health grants are already having an impact on their ability to reduce obesity. Newly published figures for how much councils expect to spend tackling obesity in 2016/17 are forecast to be £127 million – down on the £140 million estimated in 2015/16. Councils use the funding to for services such as weight management services, exercise referral schemes and extending the offer of free or reduced-cost sport such as swimming. In 2014/15 councils spent £126 million, and £112 million in 2013/14 on tackling obesity and the LGA said these figures illustrate the amount of prevention work councils are carrying out and show the scale of the obesity crisis the nation faces. If current trends are not reversed, the overall cost to the economy of obesity and overweight conditions could increase from between £6 billion and £8 billion in 2015 to between £10 billion and £12 billion in 2030. 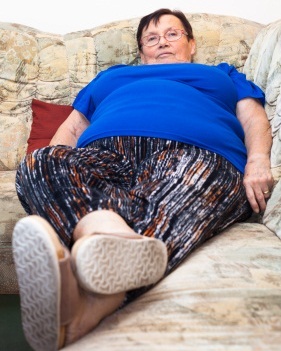 The LGA's Community Wellbeing Portfolio Holder, Cllr Izzi Seccombe, said: "The staggering amount of money councils are having to plough into obesity prevention work shows the sheer scale of the crisis we face. Councils are without doubt the best placed to tackle obesity before it becomes a problem, and the huge investment they are making shows how committed they are to dealing with the issue. From working with children who are obese and overweight to encouraging children to cut their consumption of sugary drinks, since taking over responsibility for public health three years ago, local authorities have been leading the way in the fight against obesity. "But we would like assurances from the Government's new administration that the long-awaited childhood obesity strategy is still on track and that it includes tough measures that will help to reverse the rise in costs and children becoming obese. Today's obese children will be tomorrow's obese adults, and with this comes a range of costly and debilitating major health conditions."